Venturer in simulator wearing “beer goggles” trying to text and drive. Four years ago I met with some bright and motivated young people in Boy Scout Venturers Crew 125. I challenged them to take on a service project to promote transportation safety. They have been impressing me ever since. First, they held an annual “Safety Break” during Memorial Day weekend, giving away free coffee and food, along with educational materials promoting safe driving, to travelers at a Maryland rest area on I-95. But this year, Crew 125, advised by the NTSB’s own Paula Sind-Prunier, really outdid themselves, and hopefully changed attitudes and lifelong behaviors among their peers. During a recent gathering in Virginia, a regional group of 300 Venturers (a co-ed program of the Boy Scouts of America for youth ages 13-20) were charged with creating a hands-on activity. Some crews brought a mini cave to crawl through. Others brought a climbing wall. Crew 125, with the help of the National Organizations for Youth Safety (NOYS) and the Century Council, set up a computerized driving simulator where teens could safely learn about the dangers of texting while driving—and a chance to use “beer goggles” to simulate alcohol impairment and how it affects driving skills. They also provided safety literature and set up a mock sobriety field test. It proved both popular and powerfully educational. The line to try the simulator, according to Paula, stretched several hundred feet back to the dining hall. 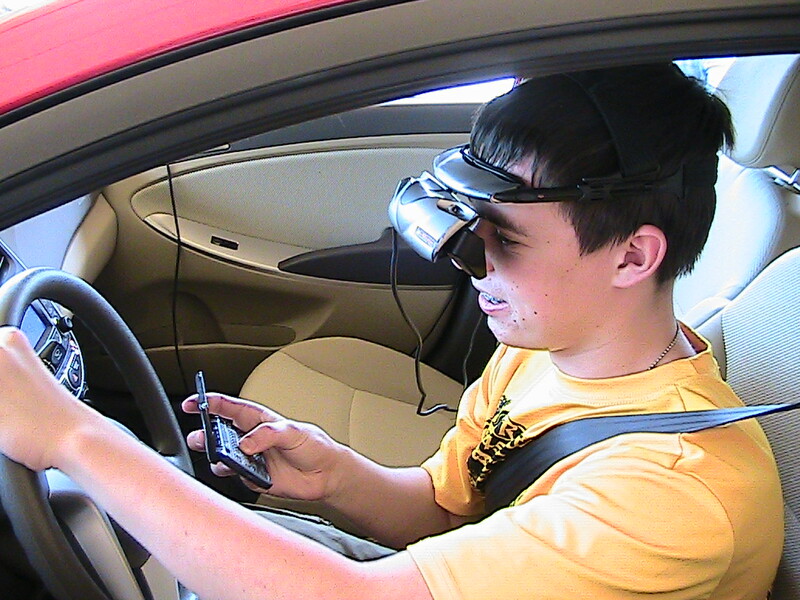 Venturers tried to “best” each other, negotiating the virtual-reality driving course while trying to send a text message. Venturers understood why states have banned teens from using personal electronic devices like cell phones and texting devices while driving. They also learned that passing a field sobriety test requires your full focus and attention. There were many “crashes,” but a simple reset of the computer put the car and driver back safely on the road. The Venturers understood that the consequences are very real when you are truly behind the wheel and you don’t get a reset. 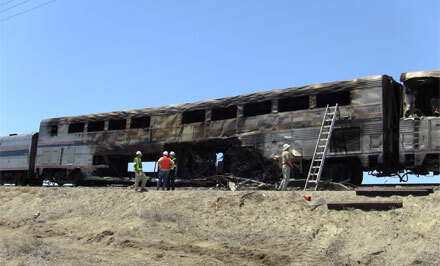 On June 24, 2011, an Amtrak passenger train bound for California from Chicago was broadsided by a tractor-trailer truck on a rural highway near Miriam, Nevada, killing the truck driver and five people on the train. This accident presents an opportunity to remind everyone just how important it is to be vigilant about grade-crossing safety. With more than 219,000 grade crossings in the U.S., accidents occur every day. In fact, according to Operation Lifesaver, a nonprofit organization that advocates for rail safety education, there is a grade crossing accident that either involves a vehicle or a pedestrian about eight times a day, every day. In 2011, there were 265 highway grade crossing deaths in the U.S., yet every one of these deaths was avoidable. The good news is that over the past 30 years, the frequency of grade crossing accidents has been on the decline. This was accomplished through improved safety warning systems — such as safety gates, warning lights, and loud horns — and a lot of education. This fall, we will complete our investigation into the Miriam accident, and I hope that we will identify opportunities to make our highway-rail grade crossings even safer. Over the past two days, the Board heard from eight different panels on ways to improve safety in general aviation. Last month, we heard from scores of panelists about how to address impaired driving. So how does the Board sift through all of the data, testimony, sometimes conflicting opinions and competing agendas in our investigations, studies and forums? I’ve said in the past that the NTSB serves as the conscience and compass of the transportation industry. It is our job is to always put the public interest and safety first and to remain unencumbered by the myriad constraints that face many other organizations. The NTSB investigates and follows the facts wherever they lead. We make safety recommendations based on what we believe will save lives. Our investigations are grounded in evidence, engineering, and rigorous evaluation to ensure that our findings are credible and that our safety recommendations will make a difference. Congress gave us a very important job: to protect and serve the traveling public. And we are fulfilling that mission by delivering the truth in our accident investigations and working to improve transportation safety through our recommendations. 60, en route from Rio de Janeiro to Atlanta, landed on a taxiway instead of a runway at Atlanta Hartsfield-Jackson International Airport (ATL). While this event did not result in fatalities, injuries or damage to the aircraft, there were tremendous opportunities to learn from our investigation. Our investigators found that one of the three crewmembers was ill and the remaining two pilots conducted the entire night flight without a customary break period. In addition, the flight crew was assigned a number of runway changes with the last clearance to land on runway 27R, not 27L, coming during final approach, always an extremely busy time for pilots. Importantly, the pilots had not been briefed about runway 27R’s approach and did not know the approach light system and the Instrument Landing System (ILS) were unavailable to help them identify the runway. After accepting the final clearance and sidestepping from runway 27L to 27R, the captain lined up the airplane on what he reported were “the next brightest set of lights” he could see. Our team’s review of ATL’s lighting found there were several visual cues that could have misguided the captain to align with the taxiway instead of runway 27R. 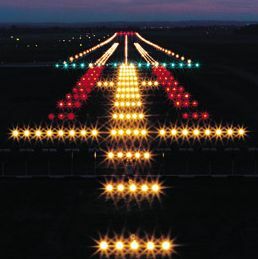 While our probable cause finding was, “The flight crew’s failure to identify the correct landing surface due to fatigue,” one recommendation was that the Federal Aviation Administration direct airport operators to inform air traffic managers of changes to airfield lighting to help prevent the confusion that flight 60’s flight crew experienced. I am pleased that the FAA acted on this recommendation by modifying not one, but two advisory circulars and today we have closed this recommendation as “Exceeds Recommended Action.” I commend Acting Administrator Michael Huerta and his team for their continuing efforts to improve safety. 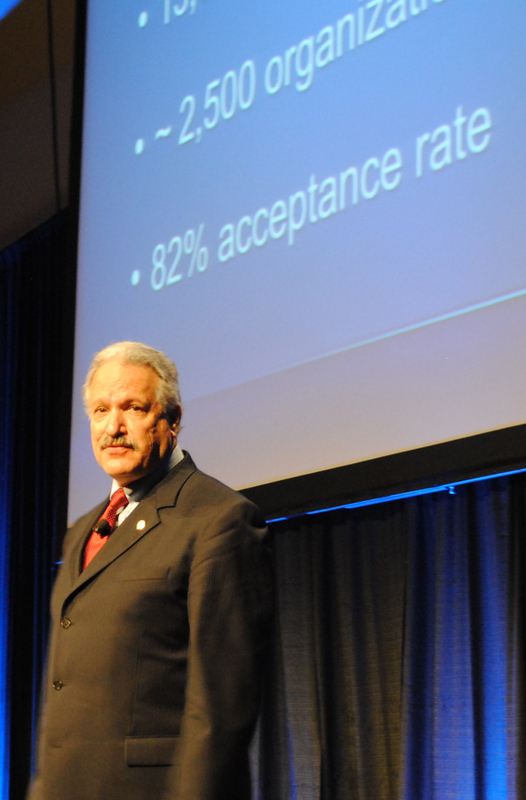 On Monday, just a week after the NTSB issued 16 safety recommendations resulting from a horrific crash in New York City caused by a severely fatigued motorcoach driver, I provided a keynote address at the Associated Professional Sleep Societies annual conference in Boston. It was a unique and direct opportunity to challenge professionals in the field of sleep science and medicine at the largest gathering of its kind. In my remarks, From Bench to Planes, Trains, and Automobiles: How Sleep Science Can Enhance Transportation Safety, I discussed the ways in which sleep science has already increased transportation safety but must do even more amid the risks posed by fatigue. 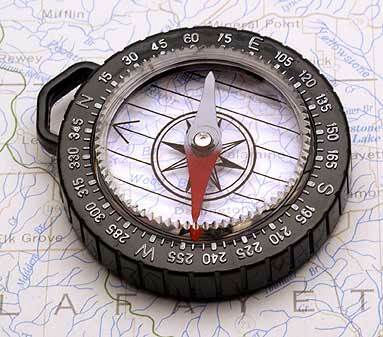 We all play a role in eliminating fatigue in transportation, from the community to the organization to the individual. It is critical that sleep professionals take a lead role in fostering the science, research, and policies necessary to effect positive change at every level. Fifteen people died and 17 were injured in the Bronx last year when their bus veered off the roadway, and overturned before striking a signpost. The impact tore the roof from most of the vehicle in one of the worst accidents of its kind that the NTSB has ever investigated. When you take a closer look at the driver’s schedule, his opportunities for sleep in the 72 hours prior to the crash were limited to short periods, only three hours just before the crash, resulting in acute sleep loss that proved deadly. A big part of this tragedy is that it was so preventable and sleep science is central to changing America’s accepted culture of sleeplessness. Sleep science has provided a critical foundation for the NTSB’s 200 safety recommendations on fatigue and for life-saving regulatory changes and operational practices in transportation. The societal wakeup call is just beginning to be answered. Just over five months ago, the Federal Aviation Administration issued new hours of service rules for pilots and the Federal Motor Carrier Administration issued new rules for commercial truck drivers. While representing the most significant changes in 70 years and incorporating many science-based elements, the aviation regulations do not cover all pilots and those for trucks do not address sleep disorders. This nation needs much more from the world of sleep science and I called sleep professionals to action on three fronts. First, we need more operationally relevant research that provides the scientific basis to change further the laws, policies, and practices affecting transportation safety. Second, this has to be translated effectively and communicated so that it is understood and acted on by all. Lastly, change begins with the individual. Sleep professionals must set an example and a standard for everyone that demonstrates the highest level of responsibility in the personal behavior of sleep practices. But, you do not have to be a sleep professional to make transportation safer. Change begins with everyone. Respect sleep, get your 8 hours, and don’t think you are safe when sleep deprived. With all of these ingredients, we can go a long way toward preventing what happened in the Bronx, and in so many other unnecessary and preventable accidents. 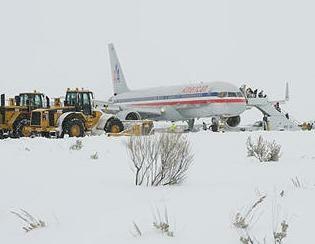 For the 179 passengers aboard American Airlines Flight 2253, the worst that happened on Dec. 29, 2010 was a frightening landing and disembarking into deep snow after their airplane overran the runway at Jackson Hole, Wyo. The Boeing 757 they were traveling in suffered two rare mechanical failures during a stormy landing on a short runway. But the airplane stopped, only slightly damaged, 730 feet beyond the pavement. All were safe. Of course, the landing could have turned horrific. The airplane’s speedbrakes failed to automatically deploy and there was a lengthy delay in engaging the thrust reversers. But the fact that there were no fatalities — no twisted and charred metal, no fiery hole in the ground — does not make the incident of less importance to safety investigators. Our job at the Safety Board is to try to prevent accidents by learning from mistakes. Mechanical failures aside, there were lessons to be learned about how humans interact with increasingly complex, yet remarkably dependable, airplanes. When the plane touched down, the captain erroneously announced that the speedbrakes had deployed. Was he operating on observation or expectation, based on his experience with many hundreds of landings where the speedbrakes deployed flawlessly? And when the thrust reversers locked up — the result of a rare mechanical/hydraulic interaction — both pilots focused exclusively on the thrust reverser problem, even though manually deploying the speedbrakes would have safely stopped the airplane without the use of the reversers. They failed to properly monitor the situation, which in today’s aircraft is as important a skill as being a good stick-and-rudder pilot. And they failed to manage the tremendous cockpit workload during those precious seconds the airplane was racing toward the end of the runway. To assist pilots in the future, we’ve recommended that they be provided training for speedbrake failures and that manufacturers add a landing configuration warning in the cockpit. These were not inexperienced or unprofessional pilots. They prepared well for what they knew was going to be a challenging landing. But did they prepare enough for the unexpected? Did they take for granted the incredible reliability of the incredible machines they fly? Perhaps that is the greatest lesson to be learned from American Airlines Flight 2253. It’s only 47 more days until AirVenture Oshkosh. I had a great time last year at my visit to what the Experimental Aircraft Association (EAA) calls the world’s greatest aviation celebration. It really is a great celebration and it’s a great opportunity to learn from the wide range of safety seminars that EAA schedules each year. I enjoy the opportunity to meet so many passionate aviators at Oshkosh, yet, I only need to travel a few feet from my office to talk with people who love everything about flying. 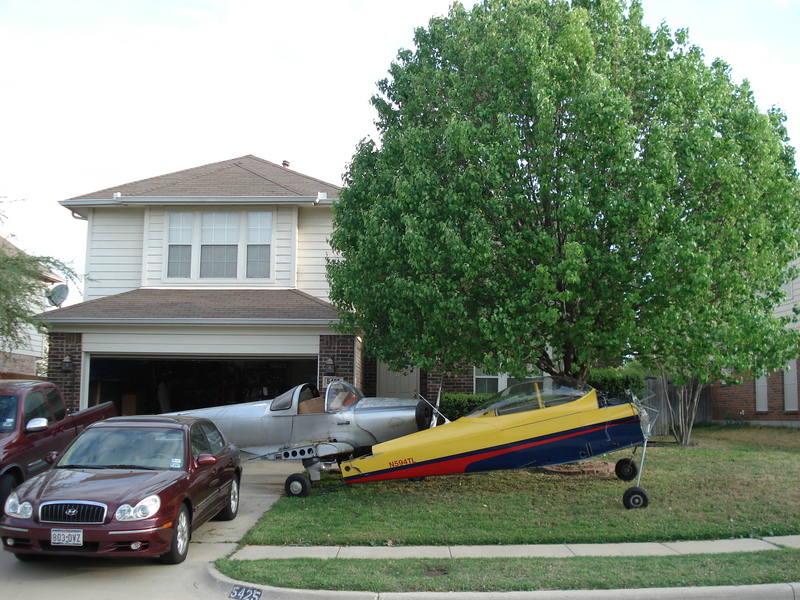 A number of NTSB employees are pilots and many are also homebuilders. Take a look at the June edition of Sport Aviation (see page 46) that highlights many NTSB employees who spend their free time building planes from kits, restoring vintage aircraft, and, most of all, flying. You’ll get to meet some of the NTSB Board Members and staff, who will be working our booth at the Federal Pavilion as well as making presentations about lessons learned from our investigations. EAA President Rod Hightower and the EAA team have organized two question & answer sessions for me while I’m in Oshkosh. The first is a “Meet the NTSB Chairman” event, and the second is a presentation on the findings and recommendations from the NTSB’s recent Experimental Amateur-Built Aircraft Study. I look forward to meeting with many more of you at this year’s AirVenture Oshkosh. Enjoy the summer flying season.